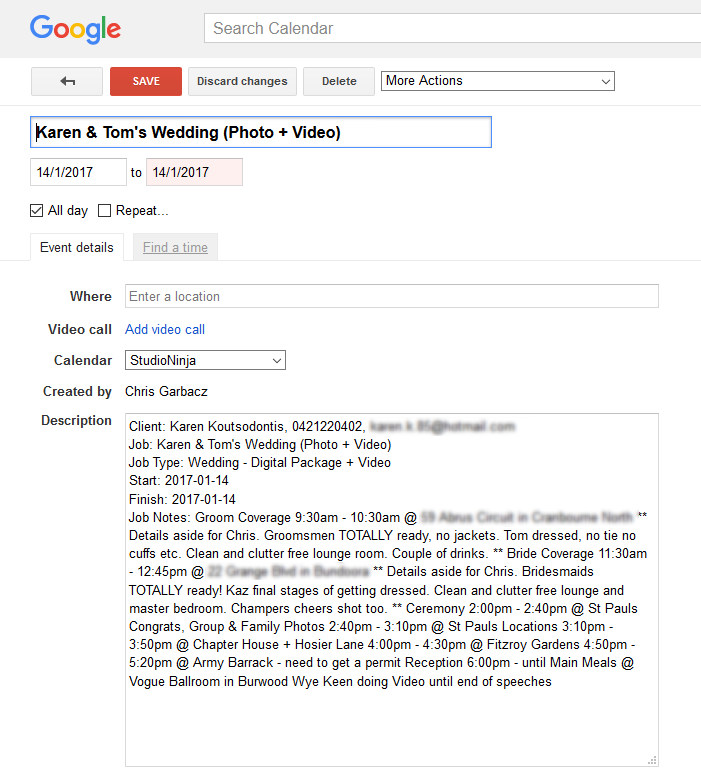 Learn how to integrate your Studio Ninja calendar with Google Calendar. Visit this page if you would like to integrate the Studio Ninja calendar with your Google Calendar. From the Settings > Calendar Settings page, click on the 'Integrate with Google Calendar' button. If your computer is already logged into your Google account then the integration will happen seamlessly, otherwise you will simply be prompted to login to your Google account using your Google username and password. Once the integration is complete, go to your Google Calendar and you will notice two new calendars called 'Studio Ninja Jobs' and 'Studio Ninja Leads' appear on the left hand side. All your Jobs and Appointments from Studio Ninja will now appear under Studio Ninja Jobs; and your Leads will appear under Studio Ninja Leads. IMPORTANT: All your job details, client details and notes are automatically copied to the Google Calendar. Simply click on a Job, Leads or Appointment and all the details appear in the notes section. 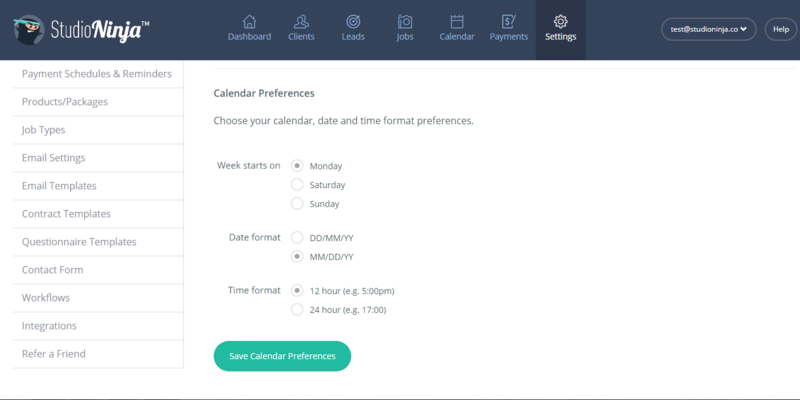 You can change the 'date & time' formats and have the option to start your calendar on a Saturday, Sunday or Monday. Your choice! IMPORTANT: Entries in your Google Calendar do NOT get copied over to Studio Ninja. The integration only works one way. Jobs and appointments from Studio Ninja get copied to Google, but not the other way around.